Oh Dear, It’s Deer Season – Damn Life is Good! 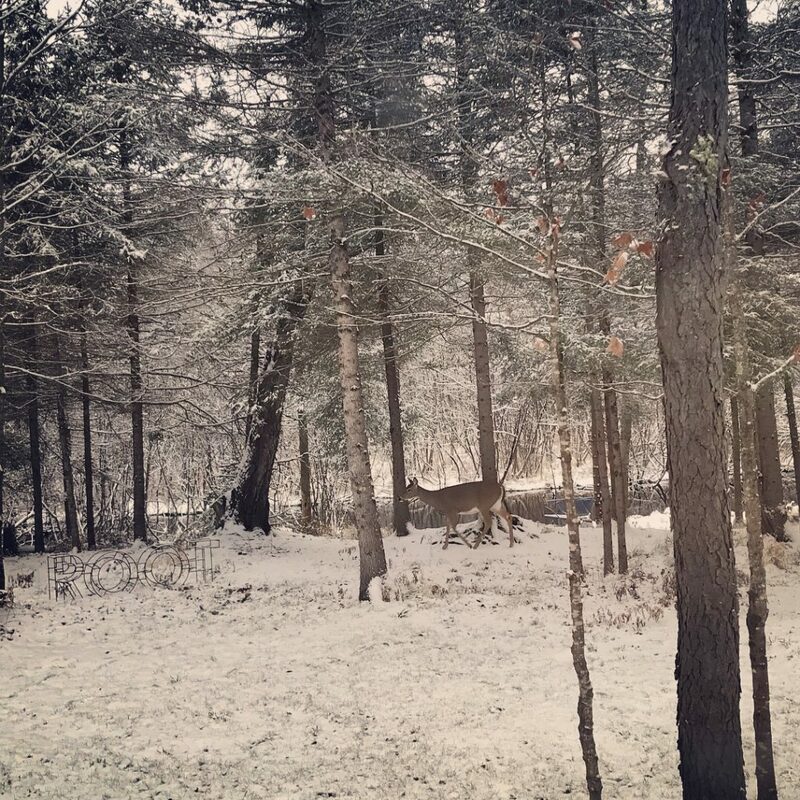 Deer season opened in the UP today and to say that is a big deal up here, is a BIG understatement. It is a HUGE deal! Schools let out, businesses shut down and lord help you if you need a plumber for the next two weeks. Literally thousands of people will begin setting out into the wilderness to bag a buck and stock their freezers with venison. Hunting also has an impact on the economy, generating $2.3 billion economic impact in Michigan, according to the U.S. Fish and Wildlife Service. That figure includes food and lodging expenses and equipment purchases totaling $1.3 billion. The average individual hunter spends around $2,237, the service found. I’ve noticed all the newspaper ads and flyers are geared toward hunters (Get Your Camo and Ammo HERE!) and most business have “Good Luck Hunters!” on their billboards. I sort of have mixed feelings about it. The deer population has risen over the past few years and between us, we’ve had three hit our cars since we moved here (Paul’s first one was just last night!) They are EVERYWHERE. And most hunters eat the meat and feed their families all year long. Those who don’t eat the meat, donate it to area families in need.